NRD is the current prototype Architect/Engineer for Krispy Kreme Doughnut Shop. 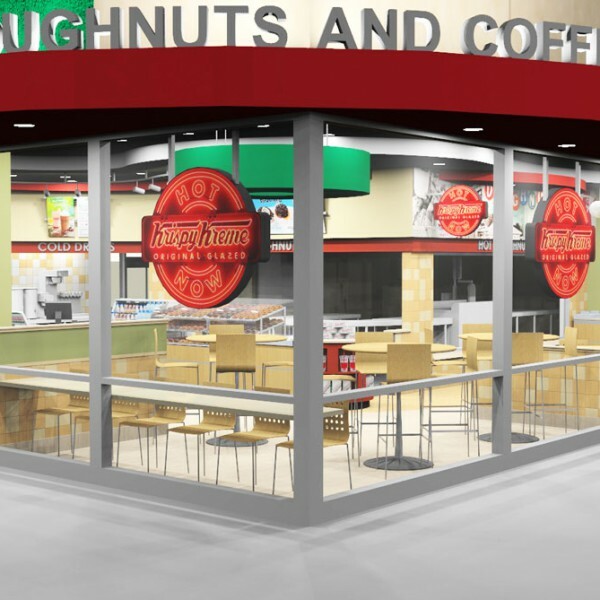 In 2010, NRD created a new prototype building incorporating branding elements for Krispy Kreme recognition and consistence while maintaining construction documents which were within budgetary concerns. NRD also created a branding guide for assisting franchisees with cosmetic updates to existing stores to utilize the newest branding elements to create uniformity across the brand. We have completed construction documents for countless remodels in addition to new construction projects, updating older stores to the new look of the brand. Projects also include tenant upfits into existing/new shopping centers with drive thru capabilities.